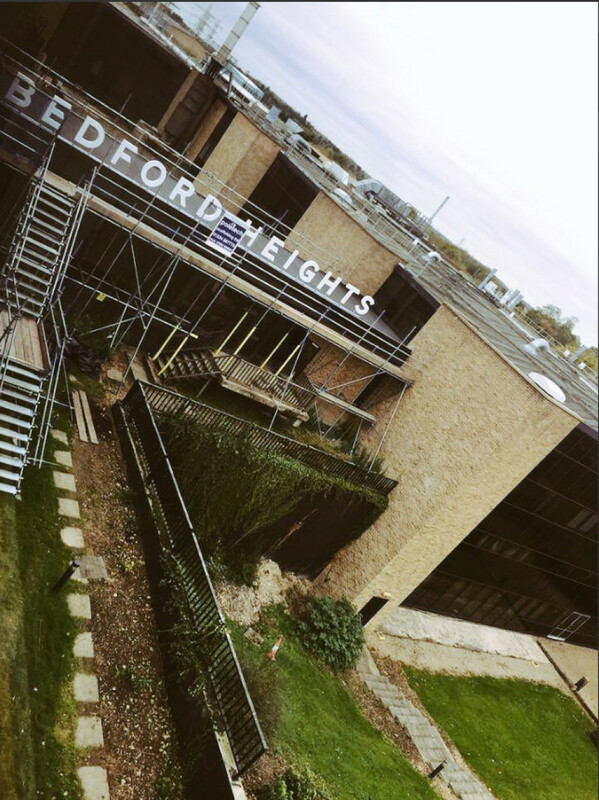 Delighted to announce that construction has now started on site at Bedford Heights. We have been working closely with the client, structural and civil engineers Elliott Wood Partnership and their contractor Acme Developments to develop the technical design for the new Entrance Reception over the past year. Following the successful refurbishment of the Graze cafe last year the client has pursued their ambition to redevelopment the main entrance and create a new and exciting contemporary entrance to the building. The proposed works involve the excavation and infill of the existing landscape to form a new Accessible Entrance to Level 1. A new resin bonded path will lead to a new steel staircase up to the new Level 2 Reception where we are installing new curtain wall glazing to the link building facade. The new illuminated sign over what will be the new Reception is now installed, we are looking forward to seeing the new entrance take shape.